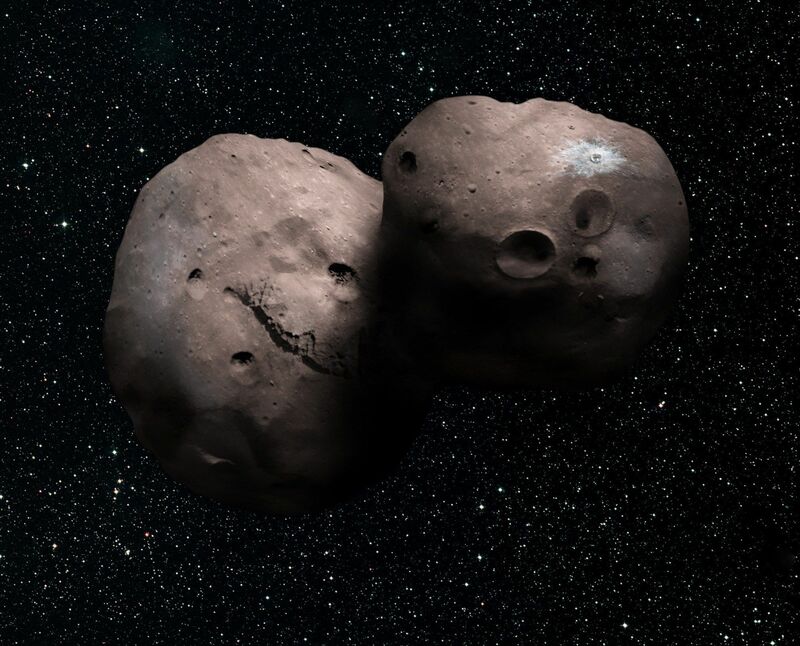 New images of Ultima Thule, the small chunk of primordial debris NASA’s New Horizons probe zoomed past on New Year’s Day, came into much sharper focus on Wednesday, revealing a snowman-shaped object made up of two smaller, roughly spherical bodies that gently collided and stuck together during the birth of the Solar System 4.5 billion years ago. “We think what we’re looking at is perhaps the most primitive object that has yet been seen by any spacecraft and may represent a class of objects which are the oldest and most primitive objects that can be seen anywhere in the present Solar System,” said Jeff Moore, a New Horizons co-investigator. Since its discovery by the Hubble Space Telescope in 2014, Ultima Thule has been little more than a dim speck of light in even the most powerful instruments. By measuring how Ultima blocked out the light of a star while passing in front as viewed from Earth, researchers concluded it was an elongated body of some sort but little else was known. That all changed this weekend when New Horizons, now a billion miles beyond Pluto, moved close enough for its most powerful camera to begin detecting hints of structure. In initial images released Monday and Tuesday, taken at distances of more than 480,000 kilometres (300,000 miles), all that could be discerned was a blurry, elongated shape with thicker, lobe-like features on each end of a 32 kilometre-long body. The fuzzy shape reminded some viewers of a bowling pin or perhaps a peanut. “That image is so 2018,” joked Alan Stern, the principal investigator, moments before unveiling the latest photo at Johns Hopkins University’s Applied Physics Laboratory near Baltimore. The “bilobate” body has a distinctly reddish hue, no obvious craters and rotates once every 15 hours. It was the first close-up view of what is thought to be a commonplace member of the remote Kuiper Belt, a vast reservoir of icy debris beyond the orbit of Neptune. 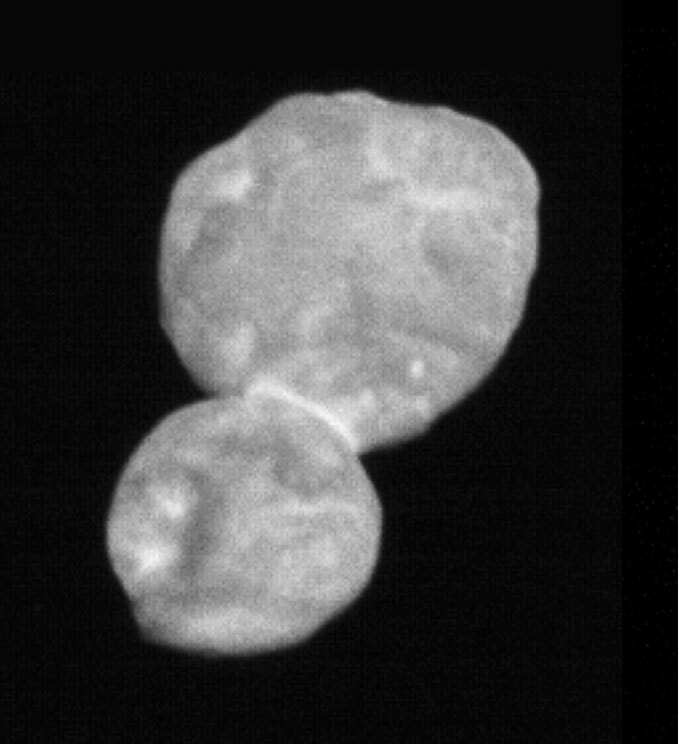 Lower-resolution colour views of Ultima Thule as mapped onto a higher-resolution black-and-white image reveal a distinctly reddish hue. Image: NASA/Johns Hopkins University Applied Physics Laboratory/Southwest Research Institute. Racing through space at more than 51,000 Kilometres per hour (32,000 mph), or 14 kilometers per second (nine miles per second), New Horizons passed within about 3,500 kilometres (2,200 miles) of Ultima Thule’s surface at 0533 GMT on New Year’s Day. Despite the enormous velocity, the dimness of the sun some 6.5 billion kilometres (4.1 billion miles) away and the distance between New Horizons and its target — roughly the same as Los Angeles to Washington D.C. — the spacecraft’s cameras were able to capture features as small as 1,500 metres (500 feet) across in the image released Wednesday. Even sharper pictures are expected to be released on Thursday, but communications with the spacecraft, on the far side of the sun as viewed from Earth, will be interrupted between Friday and the middle of next week because of interference with the Sun’s outer atmosphere, or corona. The sharpest possible images are not expected to reach Earth until next month. New Horizons scientists revealed the first close up images of Ultima Thule during a news conference at the Johns Hopkins Applied Physics Laboratory. Image: Steven Young. Officially known as 2014 MU69, Ultima Thule is one of the countless chunks of debris in the Kuiper Belt thought to be left over from the original cloud of gas and dust that coalesced to form the Solar System 4.6 billion years ago. 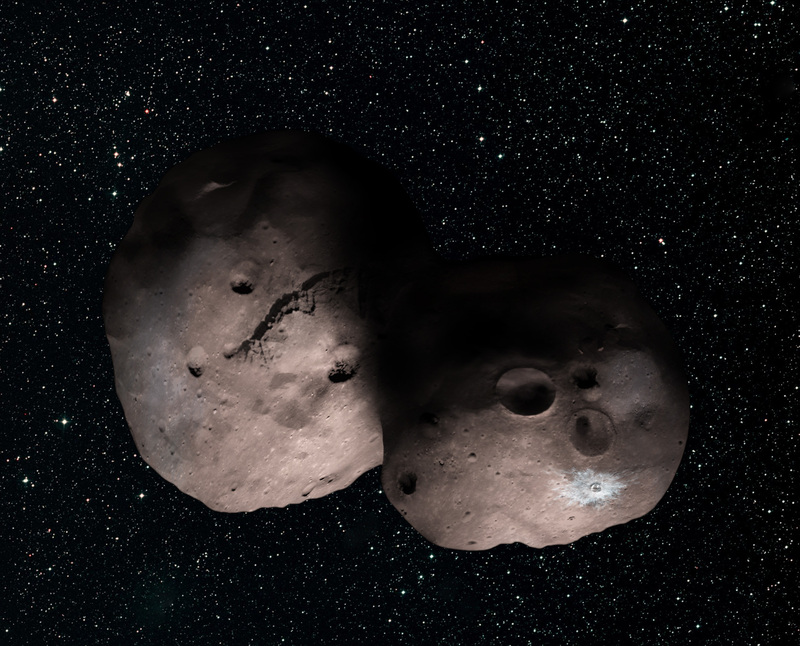 While some of the objects in the Kuiper Belt were thrown into that icy realm by gravitational interactions with planets in the distant past, Ultima Thule travels slowly around the Sun in a near-circular orbit indicating it has been in the same location for virtually the entire history of the Solar System. As such, it is known as a “cold classical” Kuiper Belt object, or KBO. Moore said it appeared to be a textbook example of a long-theorized planet-building process. “What we think we’re looking at is the end product of a process which probably took place in only a few hundred thousand or maybe a few million years at the very beginning of the formation of the Solar System,” he said. That process likely began with countless small pebble-like bits of debris swirling about and bunching up in larger groupings. “As these nodes swirl together, the processes of low-velocity collisions or in some cases gravitational interactions (cause) the rate in which things spin around in a circle to decrease,” Moore said. He said Ultima and Thule likely collided at a velocity of a few miles per hour at most. “So the real bottom line is both the nearly spherical shape of the individual lobes as well as the fact that the two lobes came together so perfectly without any basically collisional damage … is a strong indication that it’s all formed through accretion as opposed to some other mechanism,” he said. Studying a cold classical KBO like Ultima Thule is important “because they’re the building blocks of the small planets like Pluto, this new class of planets we call dwarf planets that are more populous than the Earth-like terrestrial planets and the giant planets combined,” Stern said in an earlier interview. To collect that data, New Horizons is equipped with six primary instruments: an imaging spectrometer known as Alice, a multi-spectral visible light camera nicknamed Ralph, a long-range reconnaissance imager — LORRI — incorporating an 8-inch telescope, a solar wind particle detector, an energetic particle spectrometer and a student-built dust counter. Data is stored on redundant eight-gigabyte solid-state recorders and sent back to Earth with a transmitter that operates on less power than a refrigerator light bulb. Because of that low signal strength, the enormous distance between New Horizons and Earth and other demands on NASA’s Deep Space Network tracking antennas, it will take some 20 months for the spacecraft to transmit all the data collected during the Ultima Thule flyby. 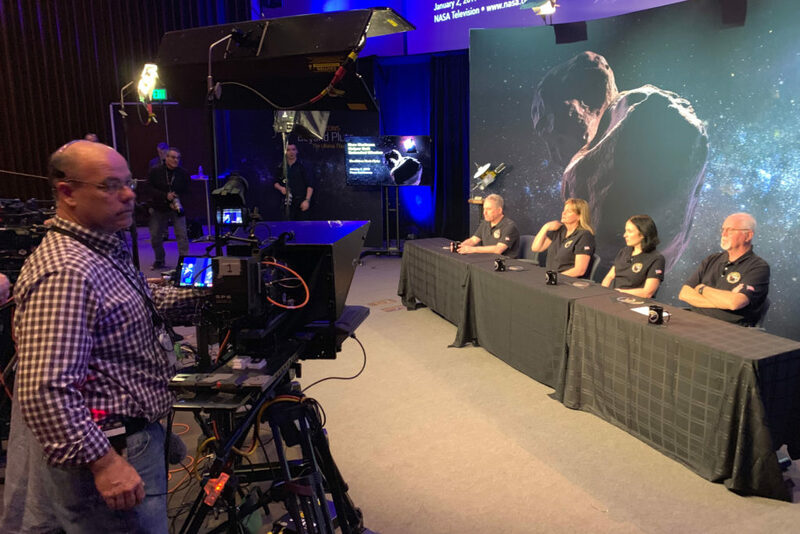 Stern says flight controllers will be on the lookout for any other Kuiper Belt objects that might be found close enough to New Horizons’ trajectory to reach in the years ahead. The nuclear-powered probe is expected to remain operational throughout the 2020s and has enough on-board propellant to carry out at least one more close encounter. What did you do on New Year’s Eve this year? Whatever it was, it probably wasn’t quite as extreme as what the New Horizons spacecraft was doing: passing by 2014 MU69 in the most distant fly-by of any object in our solar system. Today, we’ll get our first detailed look at 2014 MU69 — nicknamed Ultima Thule — from high-resolution data arriving from New Horizons. But while we wait, we can take a moment to explore what we’ve already learned about this small body in our outer solar system. Ultima Thule is a trans-Neptunian object located in the Kuiper belt, the icy disk in the outer solar system that contains leftover material from when the Sun was born. After the New Horizons spacecraft arrived at Pluto, scientists chose Ultima Thule — a body of perhaps a few tens of kilometers in size — as New Horizons’s next target for visitation. 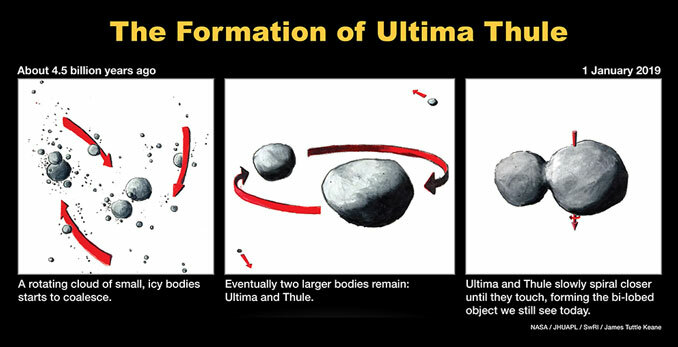 Why fly by Ultima Thule? This target offered a rare opportunity to learn more about the geology and morphology of objects in our outer solar system. In particular, scientists hoped to learn about its surface composition, its structure, and whether it hosts moonlets, a coma, or rings. But fly-by data from New Horizons is not the only means we have of observing such distant bodies — and almost as soon as the target was selected, stalking of Ultima Thule began. Through what are known as occultation observations, scientists have already learned quite a bit about the previously unknown 2014 MU69. In a recently published study led by Eliot Young (Southwest Research Institute), a team of scientists detailed their search for evidence of rings around Ultima Thule using occultation observations. Young and collaborators explored data obtained on three dates in the summer of 2017: on 3 June, from South Africa and Argentina, on 10 June, from the airborne observatory SOFIA, and on 17 July, from Argentina. On these days, telescopes were assembled with the goal of catching 2014 MU69 as it crossed in front of a background star, briefly blocking the star’s light. The light curves produced by these occultations allowed the team to explore whether Ultima Thule is encircled by additionally light-blocking rings. Young and collaborators produced a set of 62 million different models for rings around Ultima Thule. The authors then compared these predicted light curves to actual light curves captured during Ultima Thule’s occultations. The result? Ultima Thule seems highly unlikely to host any rings: rings with radii up to 1,000 km and radial widths of ~720 meters are inconsistent with the occultation light curves, and any ring larger than 1,000 km in radius would produce enough light to have been detected in Hubble Space Telescope imaging. So far, this apparent lack of rings is consistent with the low-resolution images we’ve received from New Horizons’s fly-by. Today — and in the months to come — we’ll find out what is revealed in higher resolution images and data. As always, it’s exciting to watch science in action! The ultraviolet signal may mark a wall of hydrogen where the sun’s influence wanes. The New Horizons spacecraft has spotted an ultraviolet glow that seems to emanate from near the edge of the solar system. That glow may come from a long-sought wall of hydrogen that represents where the sun’s influence wanes, the New Horizons team reports online August 7 in Geophysical Research Letters. “We’re seeing the threshold between being in the solar neighborhood and being in the galaxy,” says team member Leslie Young of the Southwest Research Institute, based in Boulder, Colo. Even before New Horizons flew past Pluto in 2015 (SN: 8/8/15, p. 6), the spacecraft was scanning the sky with its ultraviolet telescope to look for signs of the hydrogen wall. As the sun moves through the galaxy, it produces a constant stream of charged particles called the solar wind, which inflates a bubble around the solar system called the heliosphere. Just beyond the edge of that bubble, around 100 times farther from the sun than the Earth, uncharged hydrogen atoms in interstellar space should slow when they collide with solar wind particles. That build-up of hydrogen, or wall, should scatter ultraviolet light in a distinctive way. The two Voyager spacecraft saw signs of such light scattering 30 years ago. One of those craft has since exited the heliosphere and punched into interstellar space (SN: 10/19/13, p. 19). New Horizons is the first spacecraft in a position to double-check the Voyagers’ observations. It scanned the ultraviolet sky seven times from 2007 to 2017, space scientist Randy Gladstone of the Southwest Research Institute in San Antonio and colleagues report. As the spacecraft travelled, it saw the ultraviolet light change in a way that supports the decades-old observations. All three spacecraft saw more ultraviolet light farther from the sun than expected if there is no wall. But the team cautions that the light could also be from an unknown source farther away in the galaxy. “It’s really exciting if these data are able to distinguish the hydrogen wall,” says space scientist David McComas of Princeton University, who was not involved in the new work. That could help figure out the shape and variability of the solar system’s boundary (SN: 5/27/17, p. 15). After New Horizons flies past the outer solar system object Ultima Thule on New Year’s Day 2019 (SN Online: 3/14/18), the spacecraft will continue to look for the wall about twice each year until the mission’s end, hopefully 10 to 15 years from now, Gladstone says. If the ultraviolet light drops off at some point, then New Horizons may have left the wall in its rear view mirror. But if the light never fades, then its source could be farther ahead — coming from somewhere deeper in space, says team member Wayne Pryor of Central Arizona College in Coolidge. NASA’s New Horizons – the fastest-ever spacecraft at launch – left Earth in 2006 and hurtled through the void at nearly one million miles per day toward a mysterious world on the solar system’s outer edge. Three billion miles (4.8 billion km) and 9 1/2 years later, the spacecraft flew-by its target: Pluto. First-time close-up photos of that incredible dwarf planet revealed wonders such as nitrogen glaciers flowing across the surface, mountain ranges rivaling the Rockies, possible ice volcanoes, and areas that are geologically active. 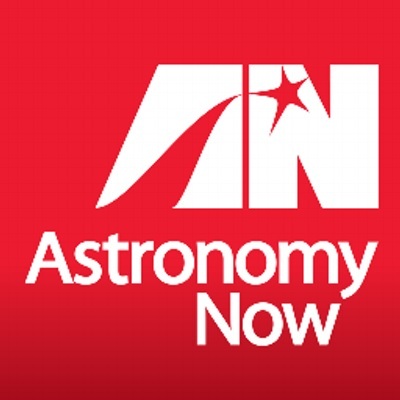 New Horizons is on its way to new discoveries deeper in the Kuiper Belt – a region inhabited by ancient remnants from the dawn of the solar system. 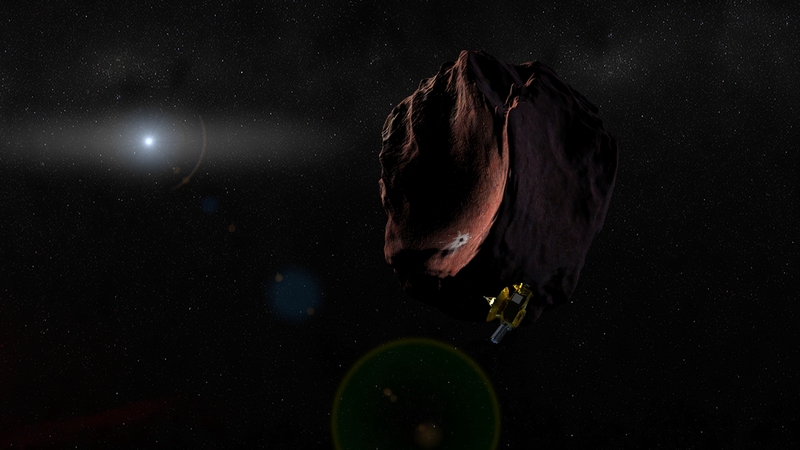 New Horizons’ next mission is to execute a close flyby of Kuiper Belt Object (KBO) 2014 MU69 on Jan. 1, 2019. At about 20 miles across (30 km), 2014 MU69 is more than 10 times larger and 1,000 times more massive than typical comets. Meanwhile, there’s more news about Pluto. Images recently analyzed from New Horizons’ cameras revealed what appear to be small, low-lying isolated clouds – the first to be seen on the dwarf planet. Other data and images from the spacecraft are showing that Pluto’s brightest surface region is among the most reflective in the solar system. Why is the surface so reflective? Another recent New Horizons discovery is landslides on Pluto’s moon Charon. These are the first landslides seen in the Kuiper Belt. The discoveries are far from over. The last bits of science data from the spacecraft’s July 2015 Pluto flyby reached Earth on Oct 27, 2016. Over the next few years, scientists on the New Horizons team will be scrutinizing the data. 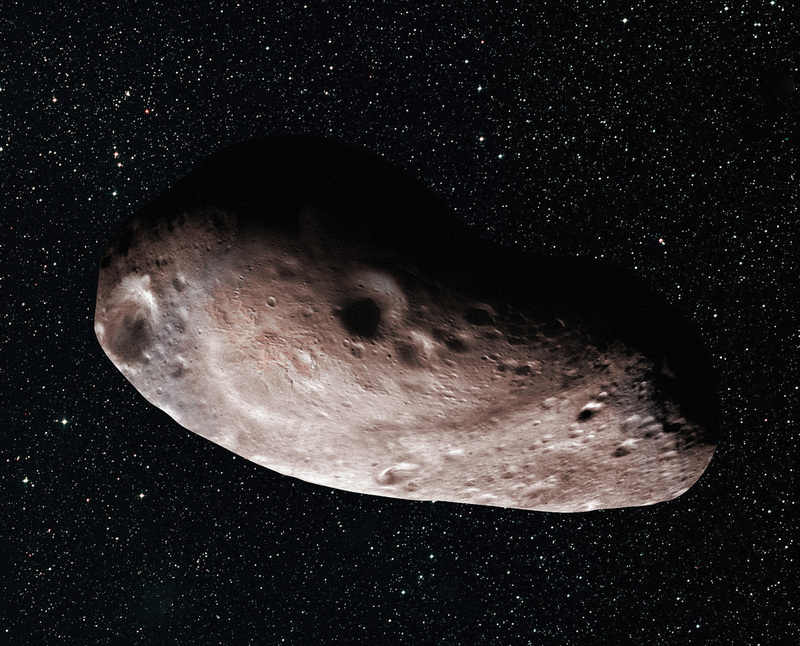 At the same time, the spacecraft will be exploring MU69, other KBOs, and the surrounding territory to solve more mysteries about the far reaches of the solar system. New Horizons instruments have been hard at work since well before the spacecraft arrived at Pluto. The Pluto Energetic Particle Spectrometer Science Investigation (PEPSSI) instrument has been measuring the composition and density of high energy charged particles in the Sun’s outer heliosphere. New Horizons’ Solar Wind Around Pluto (SWAP) instrument collected solar wind observations en route from Earth to Pluto and is still collecting them out in the Kuiper Belt. New Horizons also has a dust detector, built and conceived by students on the New Horizons team, which detects impacts of particles from asteroids and comets. By 2021, New Horizons will make observations out to 50 times the distance from the Earth to the sun. And last week mission scientists filed a flight plan for New Horizons’ next flyby – of the Kuiper Belt object 2014 MU69 – in early 2019. It’ll be farthest encounter yet between an earthly spacecraft and distant solar system body. This image shows New Horizons’ current position along its full planned trajectory. The green segment of the line shows where New Horizons has traveled since launch; the red indicates the spacecraft’s future path. Positions of stars with magnitude 12 or brighter are shown from this perspective, which is slightly above the orbital plane of the planets. Via Johns Hopkins’ page Where is New Horizons? NASA’s New Horizons spacecraft – which visited Pluto in July, 2015 – was placed in hibernation on April 7, 2017. The craft is set to be awoken today (September 11, 2017). 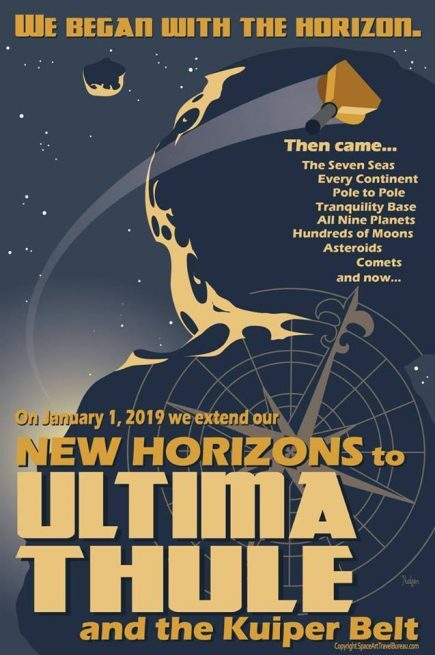 In the meantime, the science and mission operations teams have been developing detailed command loads for New Horizon’s next encounter, a nine-day flyby of the Kuiper Belt object 2014 MU69 on New Year’s Day, 2019. Among other things, the mission has now set the flight plan and the distance for closest approach, aiming to come three times closer to MU69 than it famously flew past Pluto in 2015. Hibernation reduced wear and tear on the spacecraft’s electronics, lowered operations costs and freed up NASA Deep Space Network tracking and communication resources for other missions. But New Horizons mission activity didn’t entirely stop during the hibernation period. While much of the craft is unpowered during hibernation, the onboard flight computer has continued to monitor system health and to broadcast a weekly beacon-status tone back to Earth. About once a month, the craft has sent home data on spacecraft health and safety. Onboard sequences sent in advance by mission controllers will eventually wake New Horizons to check out critical systems, gather new Kuiper Belt science data, and perform any necessary course corrections. 2014 MU69 will soon become the only Kuiper Belt object ever to be visited by a spacecraft. It’ll be the farthest planetary encounter in history – some one billion miles (1.5 billion km) beyond Pluto and more than four billion miles (6.5 billion km) from Earth. If all goes as planned, New Horizons will come to within just 2,175 miles (3,500 km) of MU69 at closest approach, peering down on it from celestial north. The alternate plan, to be employed in certain contingency situations such as the discovery of debris near MU69, would take New Horizons within 6,000 miles (10,000 km)— still closer than the 7,800-mile (12,500-km) flyby distance to Pluto. The Johns Hopkins Applied Physics Laboratory manages the New Horizons mission for NASA’s Science Mission Directorate. Alan Stern, of the Southwest Research Institute (SwRI) is the principal investigator and leads the mission; SwRI leads the science team, payload operations, and encounter science planning. New Horizons is part of the New Frontiers Program managed by NASA’s Marshall Space Flight Center in Huntsville, Alabama. APL designed, built and operates the New Horizons spacecraft. NASA.